Course Website: Official Website - Visit Wild Horse Golf Club's official website by clicking on the link provided. 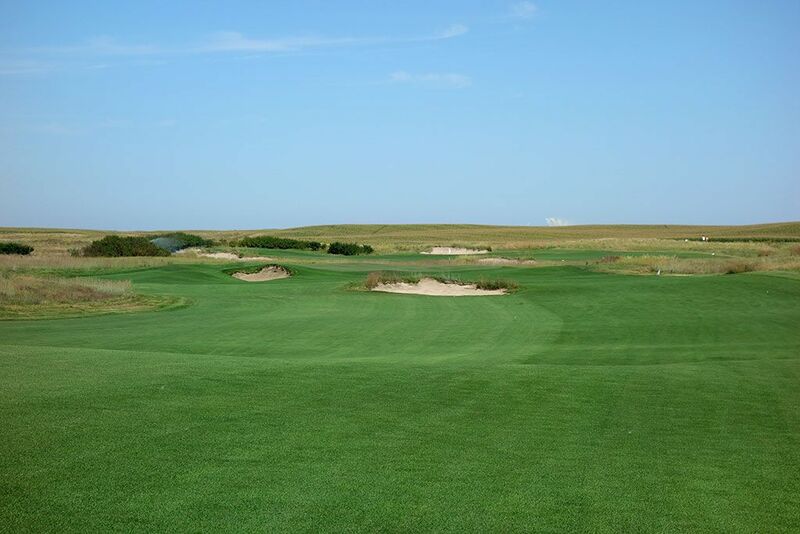 Accolades: Ranked 7th in Nebraska on Golf Course Gurus' Best in State list. 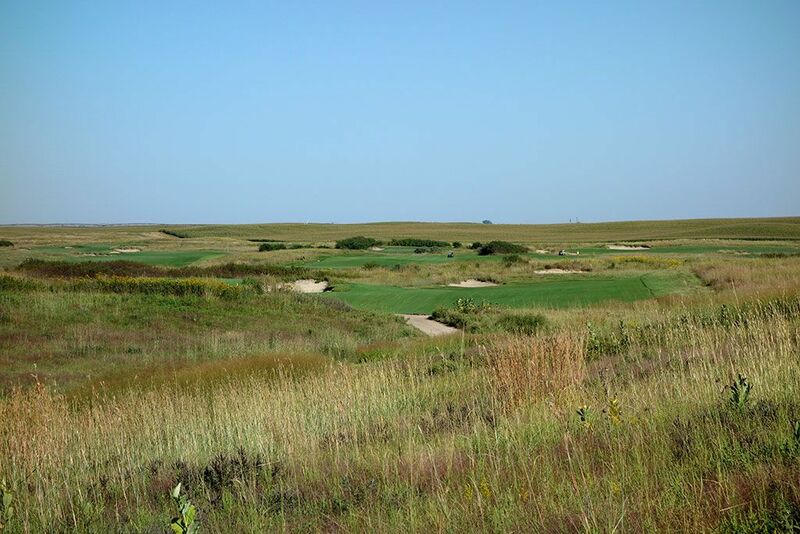 What to Expect: Wild Horse is a remote course located in Gothenburg, a Nebraska town featuring a population nearly equal to the number of yards found on the front nine. The terrain features subtle movement throughout the routing which offers gentle variety and exceptional walkability to the property. 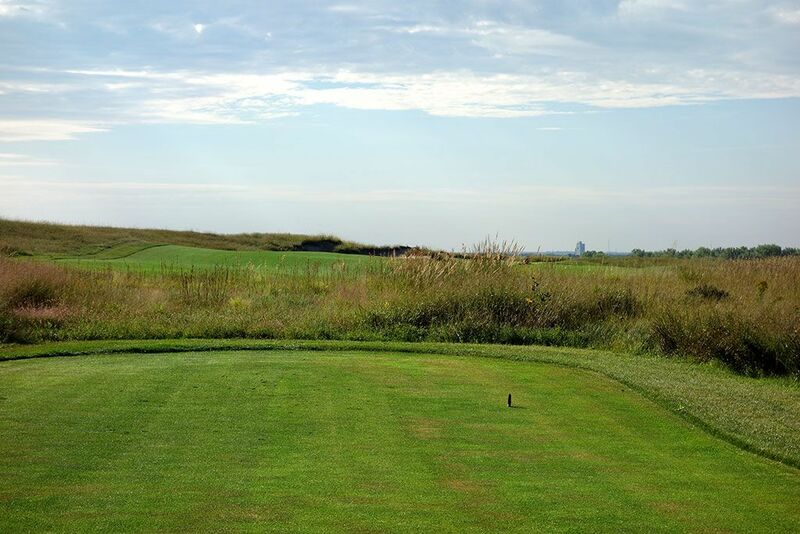 The course isn't as big, bold, or isolated as other famed Nebraska courses like Sand Hills, Dismal River, or The Prairie Club, but instead is more subtle in its approach with more of a farmland feel featuring grassy surrounds rather than large sand dunes. 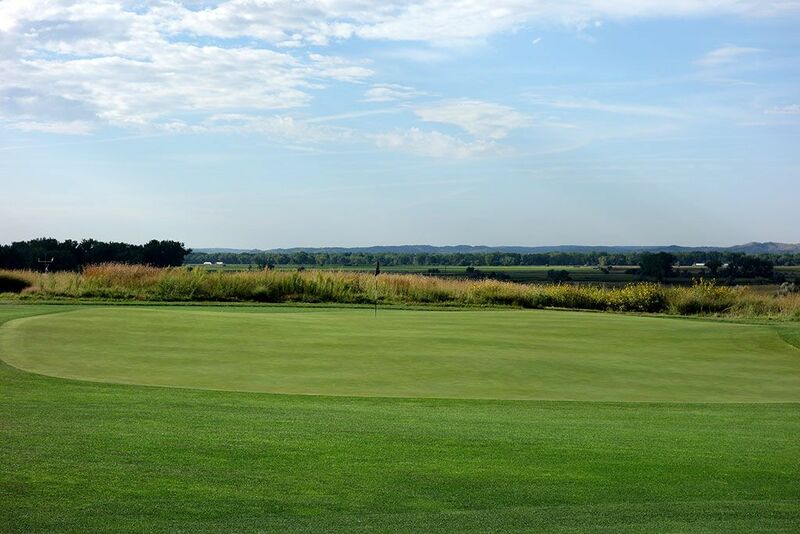 The course is designed to be played on firm, fast turf and takes into account the stiff winds that can often roll through the area. While Pacific Grove is often referred to as the poor man's Pebble Beach, Wild Horse could be considered the poor man's Sand Hills. 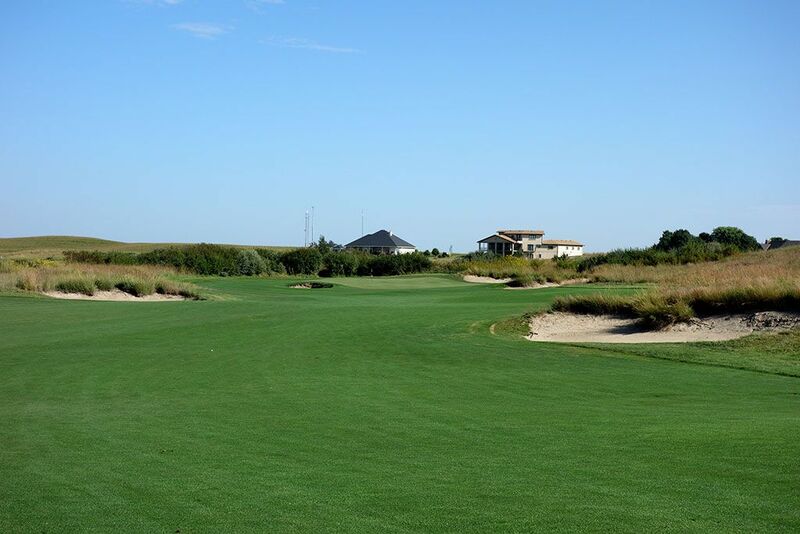 Both feature similar bunkering, conditions, and ground game emphasis at a fraction of the cost for guests. Wild Horse was built for a mere $1.6 million which included the acquisition of the property. Axland and Proctor should be commended for the layout they were able to devise on such a small budget while the maintenance staff should get national acclaim for keeping the course in such exceptional shape considering the relatively modest green fees collected. 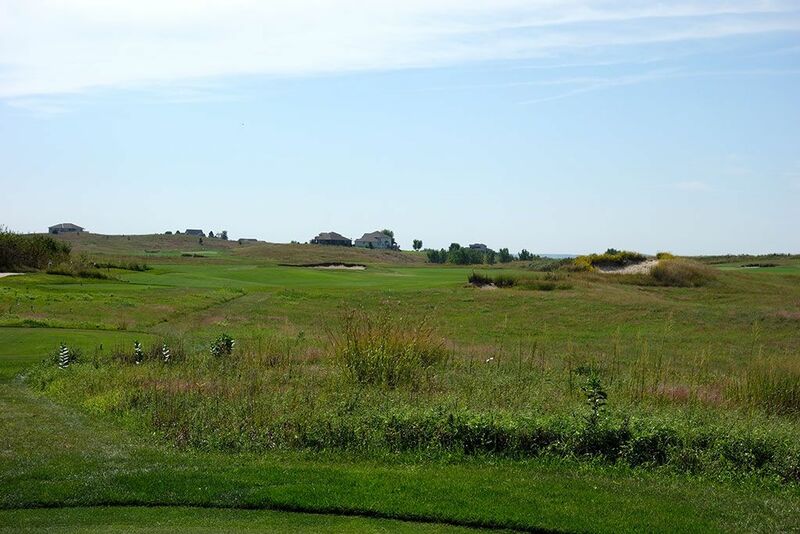 Signature Hole: 18th Hole – 418 Yard Par 4 – On a golf course that sits on terrain that features very mild elevation changes, sometimes the most visually impressive holes rely on non-golf features to give it character. 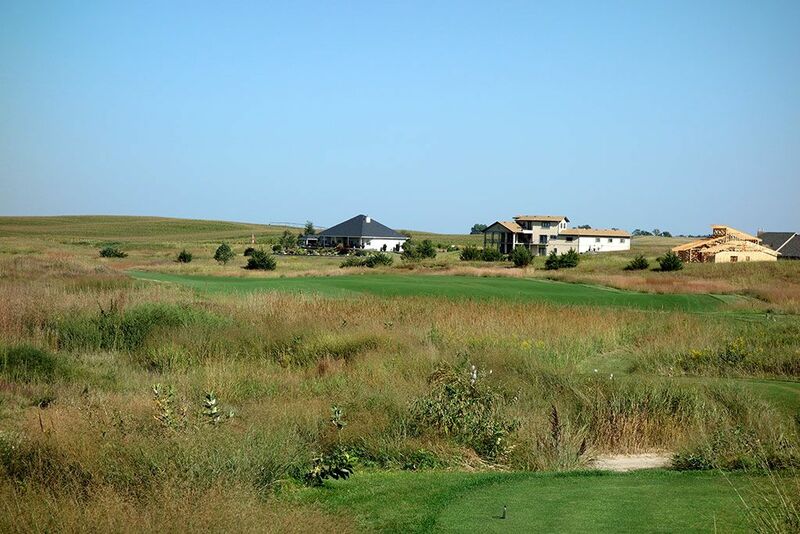 While you may expect it to be a windmill on this Nebraska site, it is playing back towards the farm-style clubhouse that fits the setting perfectly that brings character to the 18th. 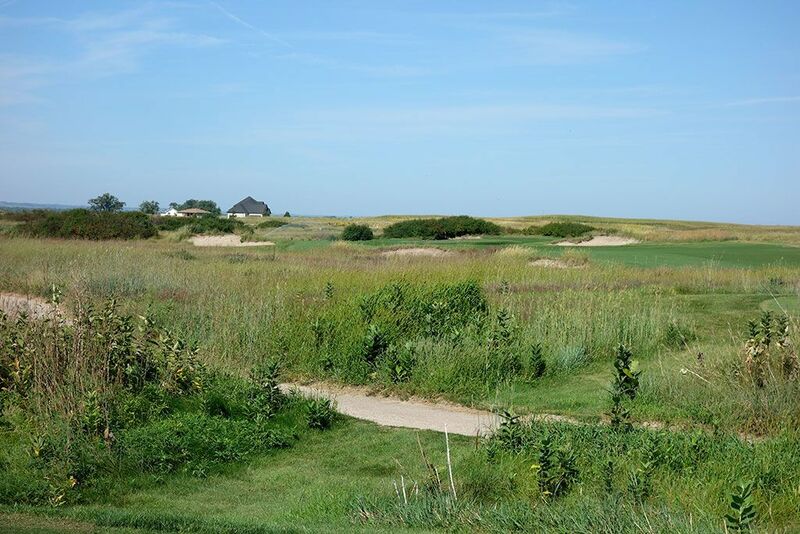 This dogleg right plays back into the prevailing wind as one final test of a player's physical and mental skills while over a half dozen bunkers pepper the hole. The perimeter of the green boasts plenty of sand as well as gorse encroaching in from the left. It is a stout finishing hole where players carding a par will likely win the hole. Best Par 3: 9th Hole – 185 Yards – This attractive one-shotter features a view of the clubhouse in the background and a large bunker on the left side of the green that blinds the back half of the putting surface. The front features a false front that feeds balls back to a popular collection area and offers a pretty good opportunity to get up and down to most pin locations. 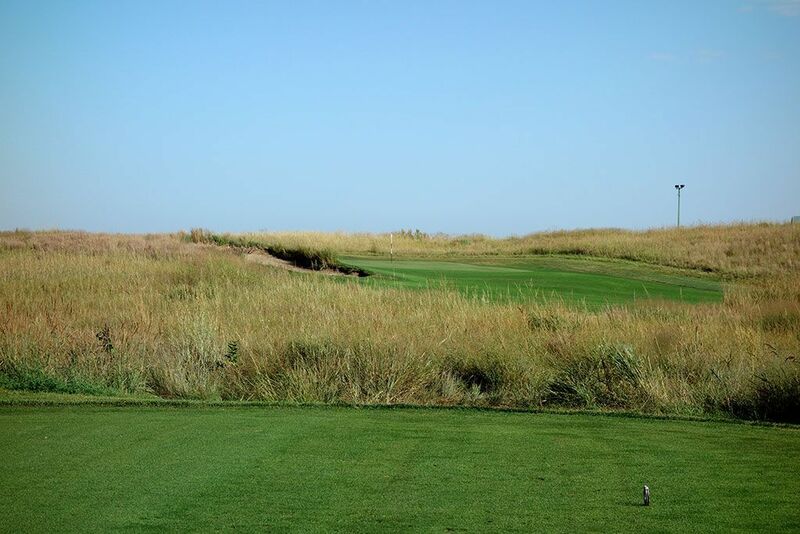 Best Par 4: 12th Hole – 442 Yards – I love a hole that teases me a bit before unveiling the best part of the hole. It is like chasing a girl that plays hard to get; you get just enough encouragement to keep pursuing her but patience is required to appreciate just how great the girl really is. On the 12th hole players are afforded a downhill downwind shot that is encouraging, but little can be seen beyond the bunkers that frame the landing zone. 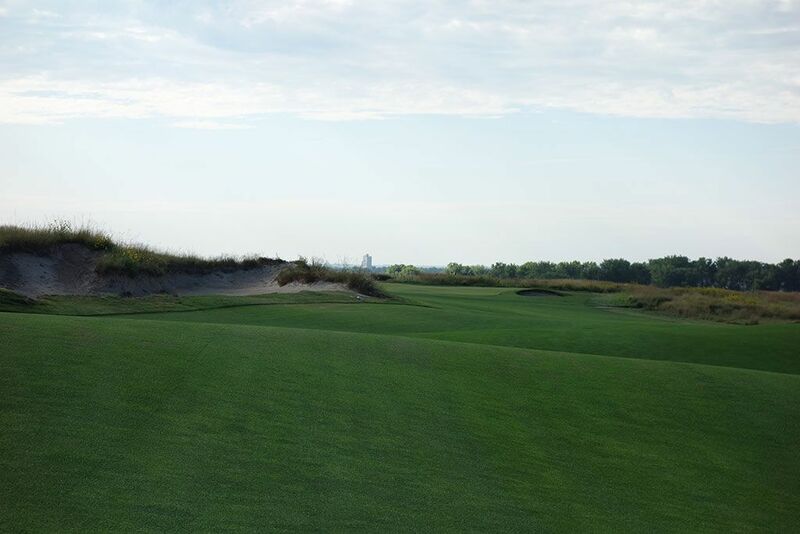 Upon pursuing the hole further, the hole gets even better with an attractive downhill shot that is framed on the sides by bunkering and fescue and plays to a green featuring a bunker complex on the right and a pot bunker front left. The gorse behind the green delivers an amphitheatre effect thus producing a nicely, naturally framed site. Best Par 5: 14th Hole – 559 Yards – This expansive fairways sweeps gently to the left but gives little indication off the tee what line would be best to take. The approach shot is characterized by a bunker sitting less than 100 yards out and can cause some players to lay up rather than risk the chance of drilling it. The capital 'L' shaped green is one of the more unique ones on the property. Birdie Time: 15th Hole – 342 Yard Par 4 – A short par four with a wide landing area and often playing with a tail wind, the 15th should have you licking your chops! 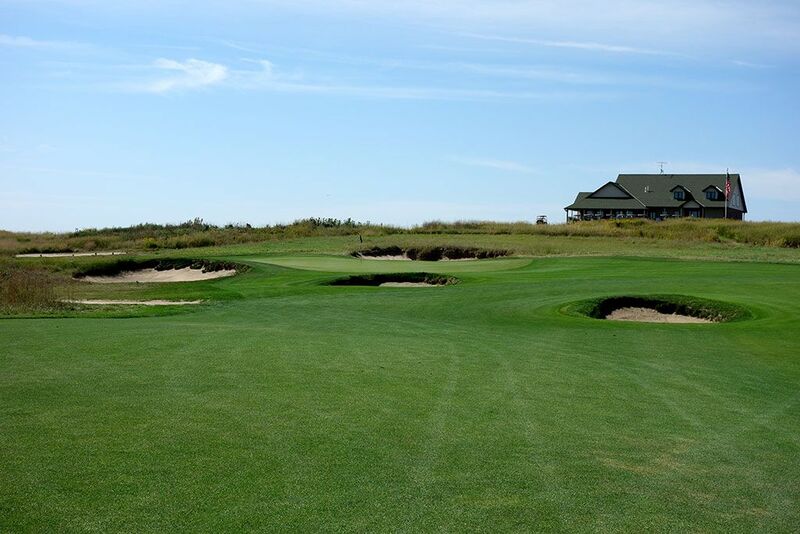 While some fairway bunkering can cause some trouble, this hole is all about sticking your short approach shot near the flag which is exactly what you should be thinking with a wedge in your hand. The gorse covered bunker behind the putting surface creates an appealing greensite to hit into. 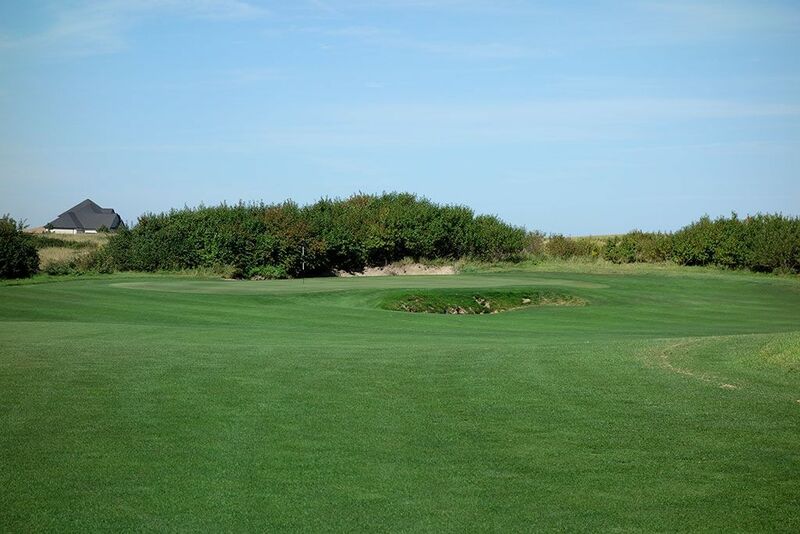 Bogey Beware: 8th Hole – 451 Yard Par 4 – A lengthy two-shotter that plays back into the prevailing wind, the 8th hole will test the best of players. A large blowout bunker on the left side of the fairway encourages golfers to hit towards the right side of the fairway to have a clean chance at reaching the green in two. A tame version of the road hole bunker protects the front right corner of the green and can be devilish to attempt saving par from. There aren't a lot of secrets here other than to be on your 'A' game from start to finish.